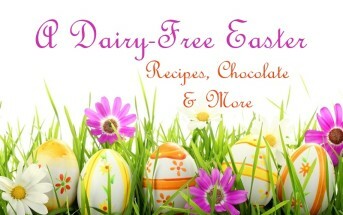 For quite sometime now I have been trying to come up with a dairy free alternative to whipped cream. 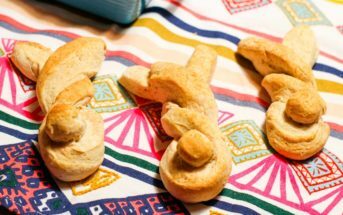 I have tried many recipes, which are okay but also do not last long. They have to be used up within a day or two. I have been doing this for my daughter who was born with a milk allergy and has had the blood test done and will not grow out of it. I do this for her not only because she is my daughter but because for someone whom right from the start has had a dairy allergy, she NEVER complains. I have never had a proper answer so I began phoning around again to see if any of the markets new what I was talking about. Most did not. I left a message with one store and they were very helpful but could not find what I was looking for. Until one day about 2 weeks after I had called the store, their manager saw my message and called. They had kept my message as they wanted to help and the manager was very excited. He told me that, that very morning they had received a shipment of a new product called “SOYATOO!” SOYWHIP. It is a dairy free whip cream in a can!!!!!! I was so excited for my daughter!! 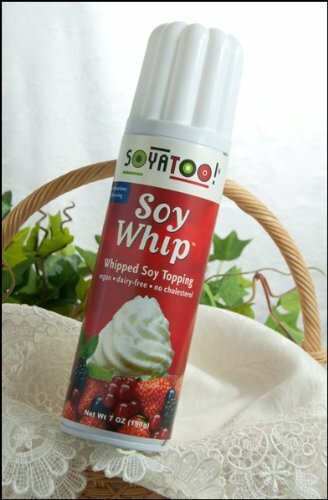 I have to say that if you are looking for dairy free whip cream that will last and tastes good try Soyatoo, it is fabulous. Soyatoo comes in two forms, in a ready-to-use spray canister and in a whippable carton. Since I know many of you will ask, Soyatoo does contain carrageenan. It’s also somewhat difficult to find. It’s made by Tofutown, a German company, but sold in the U.S. via websites like the one below. Certifications: I did not note any certifications on Soyatoo Whipped Soy Topping. However, it is made with organic, non-GMO soymilk. 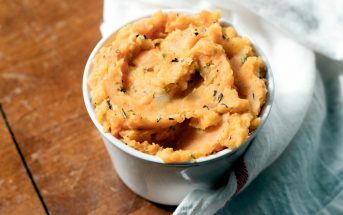 Dietary Notes: By ingredients,Soyatoo Whipped Soy Topping is dairy-free / non-dairy, egg-free, gluten-free, nut-free, peanut-free, vegan, vegetarian. Nonetheless, always read the ingredient statement and check with the company on their manufacturing processes for all varieties if potential allergen cross-contamination is an issue for you. Processes and labeling are subject to change at any time for any company / product. 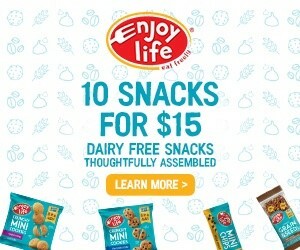 For More Product Information: Visit the Vegan Essentials website at store.veganessentials.com. I just purchased the Soya Too whip topping and was surprised to see on the back that it “may contain traces on milk”! Have you had any issues? I emailed the company, but don’t want to give it to my allergic son without further research. Thanks! 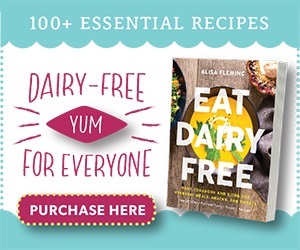 Unfortunately a lot of dairy-free alternatives, let alone other products, have that claim as they are often made or packaged in the same facility as their dairy-laden cousins (due to similar packaging processes). 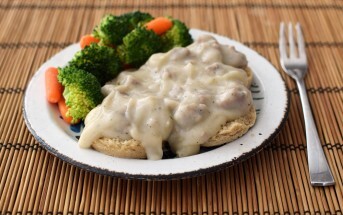 However, usually there are protocols in place to prevent cross-contamination with dairy alternatives, but they include the disclaimer just in case. Check with the company to make sure you are comfortable with the product and processes. I do know of milk allergy moms who do buy that product.